Following the acquisition of Link_A_Media by SK Hynix, the latter firm debuts its first consumer solid state disk. SK Hynix (‘the Company’, www.skhynix.com) announced its launch of client SSD (Solid State Drive). The SSD features faster speed and low power consumption than HDD (Hard Disk Drive) so it is expected to replace the HDD as another type of storage for PCs and other applications. The first ever SK Hynix’s client 2.5” SSD consists of ONFI synchronous NAND Flash memory using 20nm class process and densities of 128GB (Gigabyte) and 256GB are available. It significantly improves the speed and reliability by adopting SATA III interface with data transmissions at 6Gb/s (Gigabits per second). This high performance SSD generates sequential read speeds of 510MB/s (Megabytes per second) and sequential write speeds of 470MB/s. It is three or four times faster than the traditional HDD. The SSD products support multiple management functions including ‘TRIM’ feature to boost speed by wiping data internally. It also has an ‘End-to-End Protection’ feature to prevent data loss and reinforces security of the data by using encryption algorithm of 128bit AES(Advanced Encryption Standard) to ensure the security of the data. “In order to satisfy high standard requirements from customers who are willing to enjoy significantly improved performance of their PCs, SK Hynix has released the high-end SSD products with our high performance NAND Flash,” said Mr. Ji Bum Kim, Head of Worldwide Marketing & Sales Division of SK Hynix. “On top of this product, SK Hynix will line up various SSD products and play a main role in the NAND Flash market,” he added. 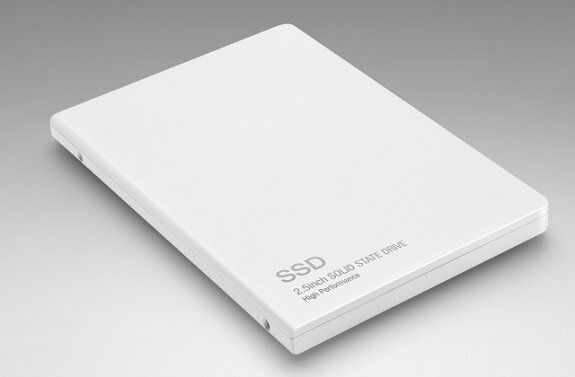 According to market research firm iSuppli, the outlook for SSD shipment is expected to be 46million units in this year. It also forecasts the annual average growth of 63% from year 2011 to 2016 due to the accelerated growth of the various mobile applications.